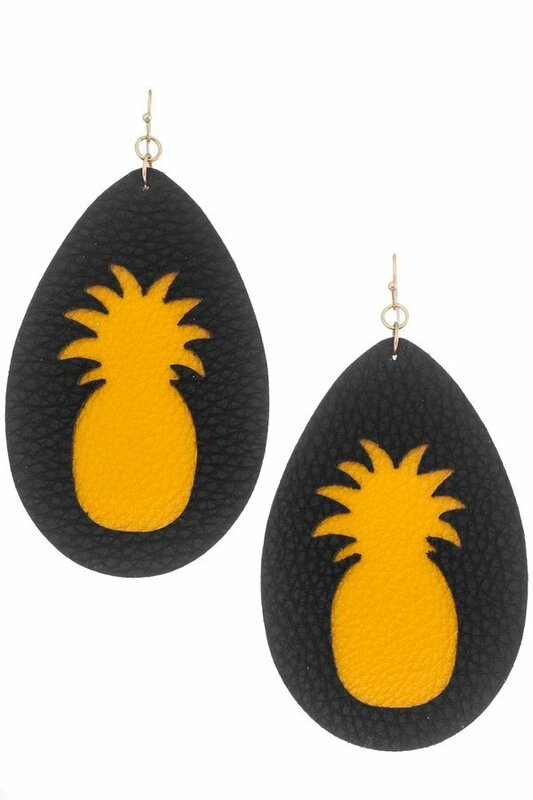 Description: Leather teardrop earrings with pineapple cut out. Approx. 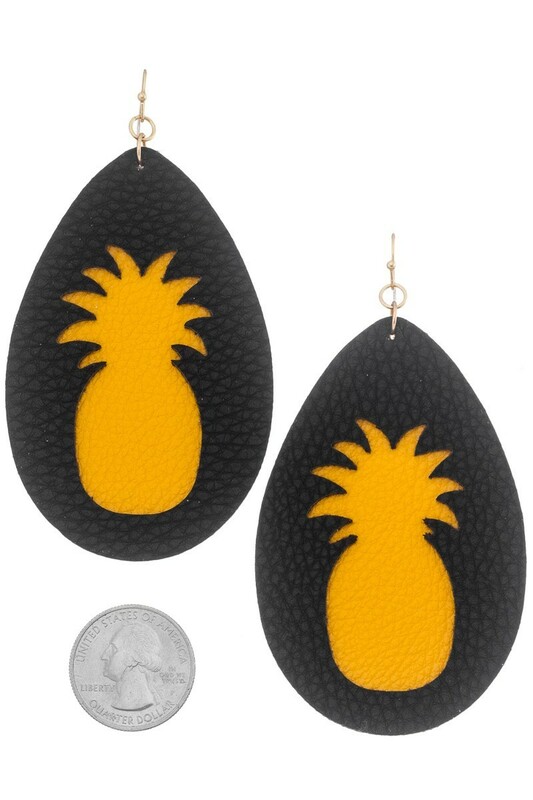 length 3.75".